When the government issues a requirement that all citizens must sign an oath of loyalty to the president, a debate arises about whether people will comply with the request or not. With the deadline being Black Friday, the situation adds additional stress and conflict to the already tense family Thanksgiving holiday. Everyone knows that discussing politics at family functions where every person is not aligned politically is going to lead to a bad time. "The Oath" is written by, directed by, and stars comedian Ike Barinholtz and serves as his feature film directorial debut. In the film, America is a politically divided place, much like it is today. The president has just issued a loyalty oath that every American is asked (very sternly) to sign, though it is not required. This causes the existing political divide to grow, and it causes some to exclaim that this will lead to a police state. Rumors have been swirling that Homeland Security has been arresting oath critics, which leads people to sign out of fear. 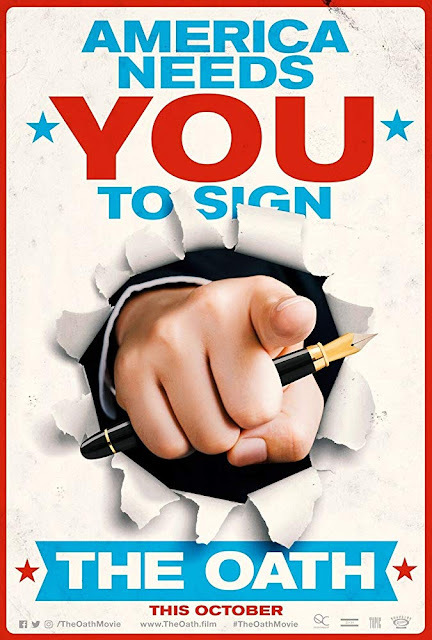 Chris (Ike Barinholtz) is a liberal-minded man who refuses to sign the oath, though some of his more conservative family members don't see the big deal about signing it. The deadline to sign is on Black Friday. As Thanksgiving approaches, family tensions rise even higher, making this already stressful holiday worse as every mention of anything remotely political causes a bang-up, blow-out argument. "The Oath" is one of those movies where we thought, "we understand what they're going for, but it really seems to miss the mark." It is a politically-charged satire that is meant to explore the partisan divide in America. Familial bonds, relationships, and blood ties fly out the window when red, white, and blue are pitted against each other. Watching Chris's family members interact is like watching an internet comment section come to life as they continually rage against each other at even the slightest remark that's contrary to their political beliefs. It's one of those nightmare scenarios you hope never happens to you in real life. We chuckled on occasion, but the laughs don't come nearly enough. The entire thing starts out very, very slowly. There are moments when it feels like it's finally getting somewhere and that it may actually lead to a poignant message, but more often than not, it's little more than a funhouse mirror showing an exaggerated and distorted reflection of society at its worst. We're all for using volatility to address the allegory of our fractured times, but it feels like there's little point to anything other than showing how we're all eventually going to kill each other for our beliefs. Fun! Problem is, it thinks it's funny, but it's usually not. We would have been mildly annoyed by this movie, but then, the third act begins. From that point on, everything becomes a mess and falls apart when two members of Homeland Security (John Cho and Billy Magnussen), who could be equated to Nazi S.S. agents, show up doing a good cop/bad cop routine that quickly gets out of hand and turns seriously violent. 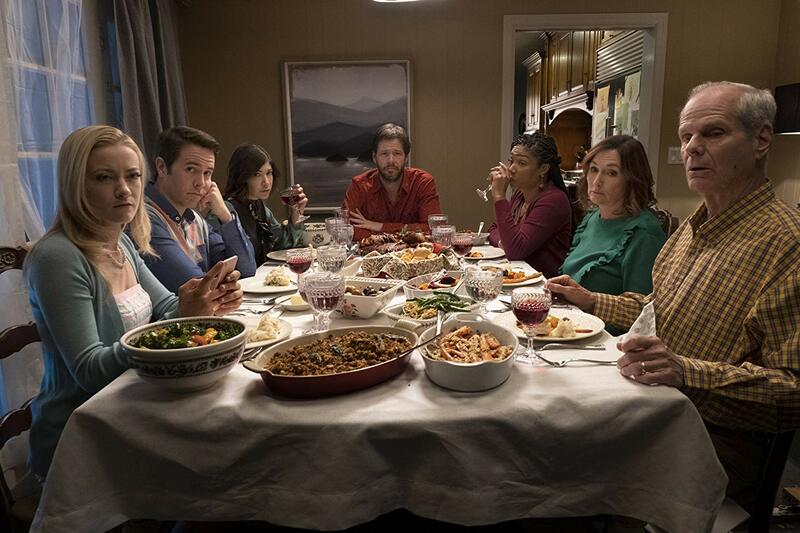 We are huge fans of the dark comedies and political satires, and since we love Tiffany Haddish and Ike Barinholtz, we had high hopes for "The Oath" (2018), but we were left disappointed, to say the least. It has plenty to say about our current culture, and while it can sometimes witty and snarky about it, most of the time, it's loud and obnoxious and sparingly makes its point. We felt like we needed a Valium after it was over.